Engrossed in a new whodunit, 'The Mockingbird Murder Mystery', Lucy is a nail-biting wreck. Adding to her problems, Ethel's amateur try at fortune telling reveals Lucy's imminent death. To make matters even worse, Lucy overhears a telephone conversation between Ricky and his agent, Jerry, and misinterprets the names of dogs in a new act for Ricky's girl friends. She outfits herself with a bulletproof skillet, certain that Ricky is out to kill her. Her strange behavior causes Ricky to worry, and he tries to slip her some sleeping powder, which Lucy thinks is poison. Lucy-'I got a mickey from Ricky!' She hastens to the Tropicana and confronts Ricky. There she sees the dog act made up of Ann, Mary, Helen, Cynthia, Alice and Theodore, and finally realized that Ricky has no plans to do away with her. 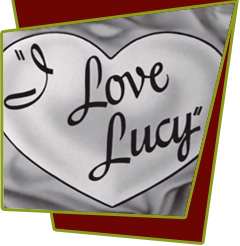 Special Notes: This episode is based on lucy's radio show, My Favorite Husband, Episode #80 ("The Wills"). Although this was the first episode filmed, it was the fourth to air because the producers decided "The Girls Want to Go to a Nightclub" was a better episode to premiere. Bloopers: When Ricky and Lucy are dancing in the living room, the camera swings too far to the left, and the edge of the set wall and the adjoining bedroom set can be seen briefly.